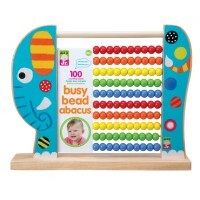 The Melissa & Doug' classic bead maze toy features vibrant colors, unique chunky wooden beads, and twisty, swooping wire paths to slide your beads around. 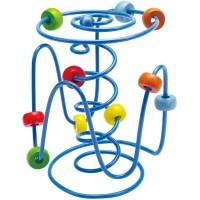 It twists, it turns, it's tons of fun! 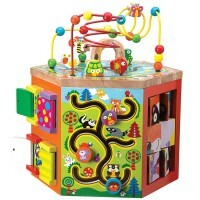 The Classic Toy Bead Maze by Melissa & Doug is a traditional toddler toy with a whole lot of excitement. 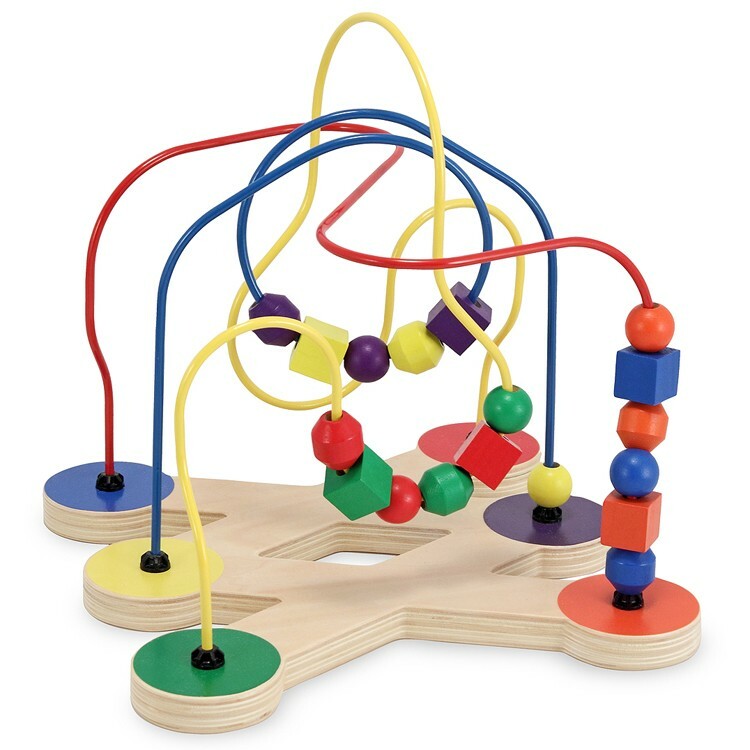 The Melissa & Doug bead maze play set features vibrant colors, unique chunky wooden beads, and twisty, swooping wire paths to slide your beads around. Educational Toys Planet offers this durable, wooden bead rollercoaster as a great way to encourage motor skill development, dexterity, and thinking skills in your toddler. 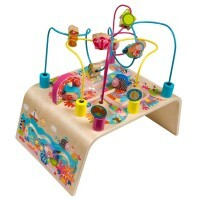 Crafted with high quality materials, the Classic Toy Bead Maze is sure to last for generations to come! 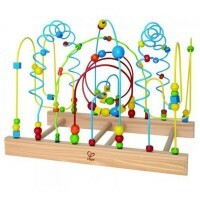 This bead rollercoaster activity toy is perfect for home, classroom or waiting room. 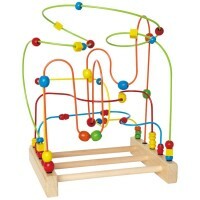 Dimensions of package 12" x 13" x 12"
Write your own review of Classic Toy Bead Maze. 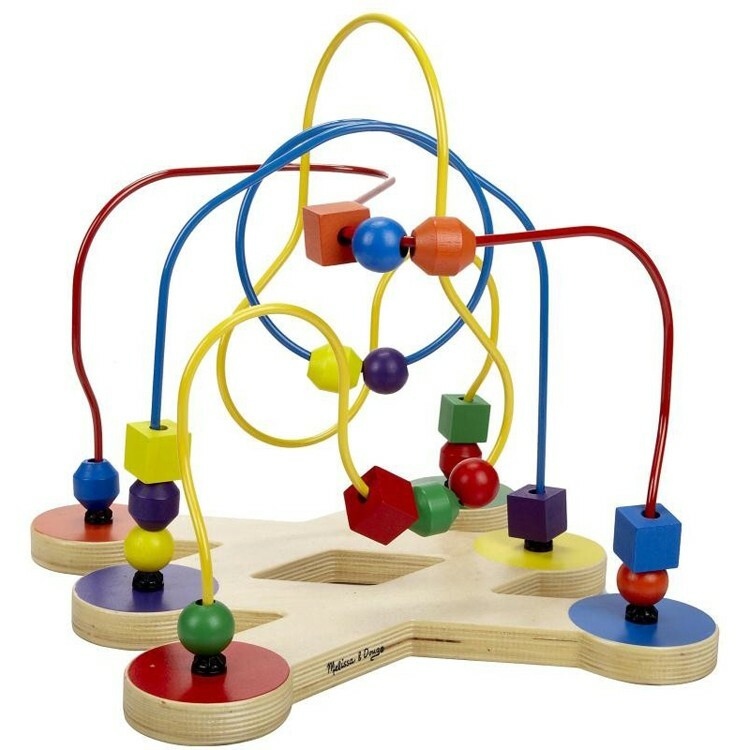 Rating: 4 classic toy by Jessica G This is a classic toy that can be found in any play area in a waiting room and in every baby classroom at a daycare. I have seen kids get hours of entertainment out of this seemingly simple toy. There is something very intriguing and captivating about playing with this colorful toy and it helps kids master motor skills as well as spatial reasoning. 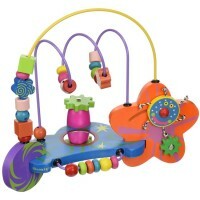 It’s also very durable like all Melissa and Doug toys. 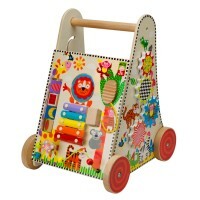 This is a great buy for parents of any child under 2 years old. It will keep them occupied for quite some time and is a great learning tool.